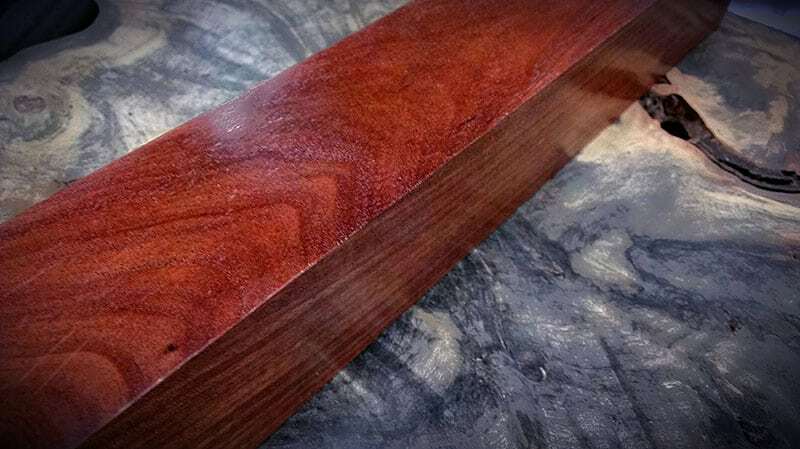 Quina or Argentine Sandalwood is a pinkish-red wood with incredible amount of natural oils that provide a perfumed scent that lasts. Quina is beautifully figured with fine grain takes on an excellent polish. Quina is extremely durable and is widely used in Argentina for a variety of purposes including counter tops, cutting boards, and flooring. 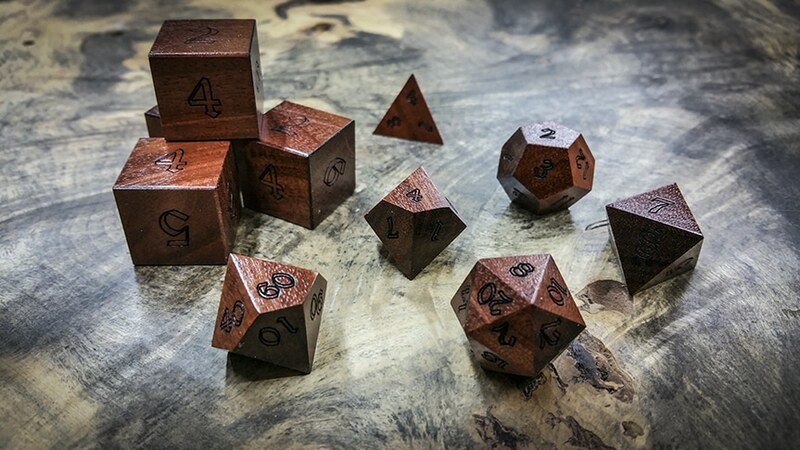 Are the die stained to look the same as the picture shown or are they left as the natural wood? Photos do these dice no justice. They’re even more stunning in person! The grain is beautiful, and the dice have a nice lightweight feel.